This last week at the MTC has been exciting and strange all at the same time. They say the days feel like weeks and the weeks feel like days, and they aren't wrong. 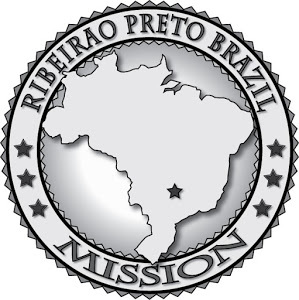 I got my visa and flight plans on thursday (i think it was thursday) so 3 elders from my district and I are flying out to the CTM in brazil tomorrow to finish our training. We leave at 11 and we won't arrive in Sao Paulo until 6am on wednesday. Super thrilled about that. We finished teaching our investigator, Eduardo, this week. It was super difficult to teach, because we had no training really and had to figure it out on our own. We had 5 lessons total with him and it was always a struggle to figure out the language, figure out his needs, and have the spirit with us. The biggest thing we've learned and focused on this week is teaching people, not lessons. When we taught him, it was completely in portuguese, so hearing him (Irma Staples) speak english for the first time was super weird, but he's great at portuguese and I'm kind of bummed that i won't get to spend much time learning from him. Our district has gotten pretty close this last week too. Sometimes we all decide that we just need a break from the work load of being a missionary, so as hippy dippy as it sounds, we just take 20 minutes and meditate. It's super refreshing though. We're always having fun and we get along well too. We've also gotten to know our zone pretty well too, so it's a shame that we're on our way out. There's an elder in another district from Argentina, Elder Zani, who plays soccer, so last night we invited him to play hackey sack with us. He didn't really understand the point of it though so after about 5 minutes he said "I no like," and left haha. Something i really like about the MTC is the massive amount of people from everywhere, and how easy it is to talk to all of them. I've met people from all over the US, from New Zealand, Scotland, all over Asia, Brazil, russia, etc. It's super cool to talk to them and know that they're all here with the same goal. I've yet to meet someone who hasn't had something interesting about them. Our sunday devotional was given by the Manager of Missionary something or other, Stephen B. Allen, who is also in charge of all the church ads and anything in visitors centers at temples around the world. He was pretty funny and showed us a lot of the old church ads from the "homefront campaign." It was really uplifting and inspiring and was just a good reminder of why we serve. After, we watched an old devo from Elder Holland about opening your mouth and following the spirit. He related to the first vision, how Joseph Smith's tongue was bound. Because he couldn't be killed, the next worst thing was for him to not speak, so the best thing for us to do is to speak and help people. We don't do any good being quiet about what we know and what makes us happy. Portuguese has this phrase "Tudo Bem" (pronounced too-dough bang) that they use for everything. It's a question and a response so it gets thrown around all the time. I Americanized it though so now we just say toods bangs and our teachers think it's hilarious. or at least i do. But there's some fun portuguese for you. I'm not sure when my P-days will be in the CTM so until then, Tudo Bem!